With a storybook, activity book, six magnetic play scenes, and dozens of magnets, this playset is as super as the PJ Masks! Connor, Amaya, and Greg are ready for another adventure as their alter-egos: the PJ Masks! Have a blast fighting crime with the heroic trio in this book and magnetic playset. 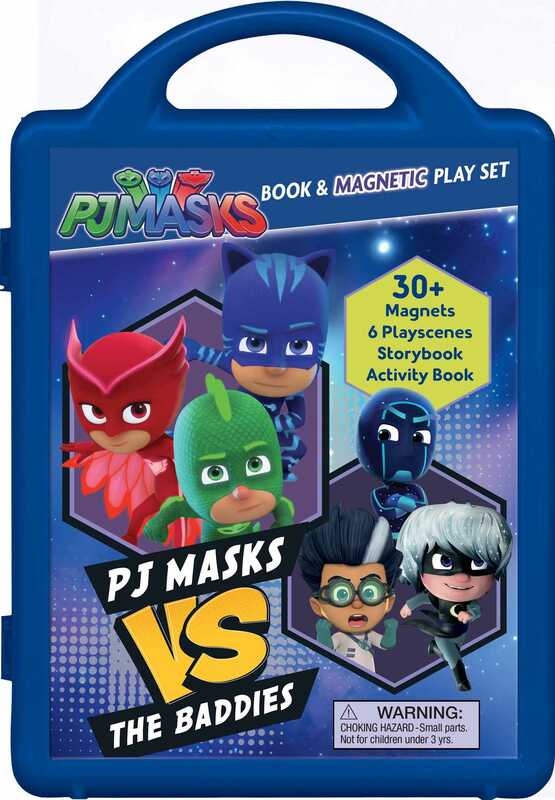 With a storybook, activity book, six magnetic play scenes, and dozens of magnets, this playset is as super as the PJ Masks!